In my opinion, this should be a priority: more important than "Life" and "Grass, rocks and Trees" or "Procedural volumetric clouds" and whatnot. I totally agree. I think it would be better to wait to SE to partially simulate stellar magnetic fields (this would allow for realistic size, shape and brightness for protuberances). I want to see some more stuff in the info tab like wind direction, orbital simulation without moving time, mineral composition, etc. Nebulae had more realistic lightning and more accurate colors. Some reflection and dark nebulae. Also,a little more of noise and variation. Im sure this has been suggested, but thicker nebulae would be awesome. They are beautiful to look at when you're on a planet near one, but they are very thin and wispy when you move through it. I am sure it being thicker would also make it look a lot more like the real thing! what do you mean with more accurate colors? if you have an image of a nebula you cant except something different looking than that in SE. Reflection Nebula would need its own method because they are literally reflecting the light of a star (but i'm working on a few reflection nebula). you can make the sprites for nebulae thicker but it would change the way they look. also nebulae look different from the inside than in SpaceEngine but because nebulae are complex objects this is a thing for future updates. and we actually don't really know how a nebula would looks from the inside. Okay, so I really want to be able to show all of my friends Earth as if it were like other planets where it has amazing looking mountains and general terrain. I know it may be hard because the model is based off of an image, BUT I would like something else to be looked into. There is a simulator called Outerra. It is an Earth simulator, and you can literally explore anywhere on Earth, and the terrain looks incredibly similar to the real thing. I believe they have the entire Earth stored into a server, and when you explore, you download pieces of Earth you're exploring as you explore it. Sometimes it takes a minute for it to download, but blocks are usually only 1-4Mb. It would be awesome if this could be implemented into Space Engine, and you could explore Earth with amazing detail. I understand it would take a while to get to this point, since it would take a lot of programming, and would need a server to be running in order to do this. But it may be something to look into in the future. SpaceEngineer, I was looking in the FAQ and saw what you said about it not being open source. How come? I think it would be awesome to allow people to play around with it and use it in their own projects. It might also add the opportunity for other people to make awesome additions that they couldn't do currently, maybe it could allow the development to go faster if people from the community were able to help. I'm sure you have a good reason for it not being open source and I respect that, but I was just putting it out there that it might be a good idea. SpaceEngineer, I am not sure if this has been considered in the past, but this could be a useful method to generating planetary geology better. Hopefully, in the near future, procedural generation could be this complex. This is an example with a map for Pluto. It would be great if you could procedural generate and apply maps like this in Space Engine. Some basic types of geological terrain would be just the beginning; some things on this example might only be found on few of this type of body (like pluto's pitted areas and cells) perhaps in the far future, you can procedurally generate different types of geological regions. In my opinion, this would make the planet textures much less repetitive and far more representative of the variety in our own universe. In my opinion, this would make the planet textures much less repetitive and far more representative of the variety in our own universe. Vladimir would probably worry just after he thinks has completed general astrophysical phenomena. And It would probably be an impossible amount of work. But I also would love to see him becoming a geologist for a few years of the development. No, nebulae in SE are not that accurate. Gases have different intensities and colors depending on various factors, and also have more variation on formations. Nebulaes in SE are just colored textures with a little bit of variation in shading, lighting and coloring. About the reflection nebulas: Not just reflection nebulaes have their silhouette seen by star light, but mos of nebulae have their light by the intense heat of electromagnetic particles shocking with the gas. And this is another lack of feature on SE. Nebulae have 3 or in max 10 stars inside them. (I hope I writed in the way it makes sense). And, even if I am wrong, just look at real nebulae. I know most of the images are composited and with a lot of filters to look beatiful, and it depends on the point of view, but would be impressive nebulas like that on SE. yes but that can already be seen in spaceengine only the inner parts of the nebula might be slightly different. no they are colored sprites. and the textures/models these nebulae use, are from true color images of the nebula. that depends on if the nebula is planetary or diffuse, planetary mostly have only one star in them which is a white dwarf. while diffuse nebulae have many in them because of the star clusters and the star forming regions. 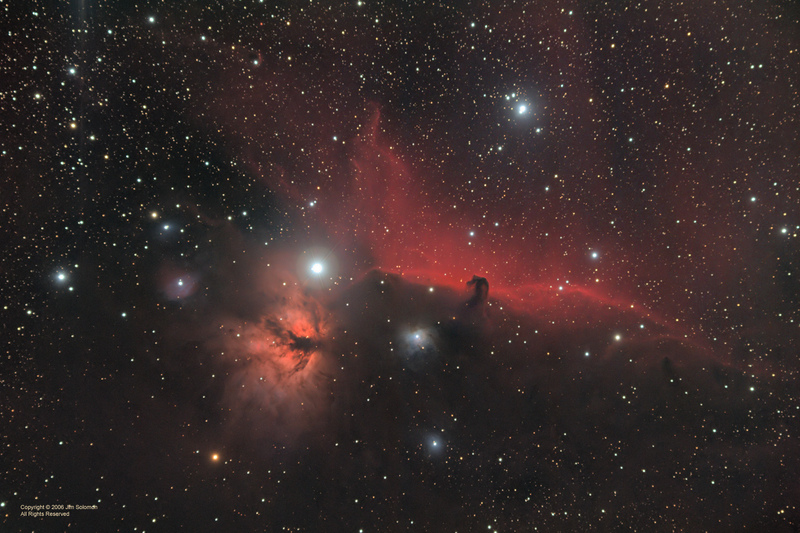 this is a true color image of the horsehead nebula. my idea is that we can see what kind of life forms are on a planet using a random life form generator kinda like starbound. It would build specific 3D creatures using a variety of colors, body parts (thats specific to the biome), and particles (like fur or water or goo). what im trying to say is that i just want to see the life on planets to give a more exploration vibe to space engine. one last thing, what if there is randomly generated spacestation and buildings on planets. They could be interactive and you can explore the rooms. this could also add to the exploration vibe and realism vibe. Sorry but hat is totally non realistic. The realism vibe you are talking about would be just a delusion. Buildings in other planets? What architecture do you want? and why that? There existence would depend on function (or they are just a bunch of nonsensical arbitrary ruins, therefore an unrealistic abstract additon) and what are the different functions those buildings have? How you can code those functions and those different architectures? Also, buildings would imply some sort of intelligent life. Take No Man's Sky. Their creatures are weird and all but probably all are more terrestrial than you think. Creating creatures would be very difficult in current stages of SE, imagine coding for realistic ones (adapted to their enviroment and not arbitrary forms as in No Man's Sky atacched toghether), imaging coding for their behaviour (no one has reached this level yet) and then imagine coding also for intelligent behaviour as to make some kind of realism and sense for those buildings.